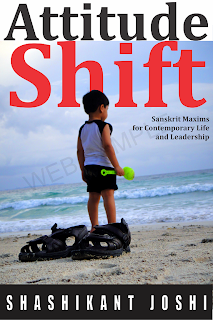 as a chariot (cart) can't move with one wheel, similarly, without hard work destiny doesn't bring fruit. even if by sheer luck, a treasure is seen lying in front, (as kAka-tAlIya nyAya), destiny doesn't give it in hand, some effort (of picking it up) is (still) expected. work gets accomplished by effort, industry, not merely by wishing. 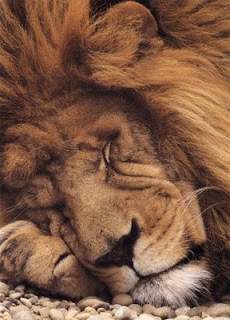 the animals don't enter a sleeping lion's mouth. in this post we will consider three shlokas, that are all related, to the role of fate and hard work. they appear in hitopadeshaH kathArambham (introduction). and then the other side of rationalizing thoughts popped up in his head. it happens to us all. we know what is right, and then a set of 'arguments' starts cropping up, supporting the easy way out! what is the point of the birth of a son (child) who is neither wise (right thought) nor of right conduct. like a wounded eye, which only hurts (and doesn't see). out of the unborn, died after birth and lifelong foolish children, the first two are still better for they pain only once, the last one pains life long. his birth is some birth who brings fame to the family, else in this ever-changing world, who lives, who dies! in charity, austerity, valor, knowledge, or wealth one whose fame is not widespread, he is but a discharge of his mother. a single worthy son is better than hundred foolish ones, a single moon dispels darkness, not a group of stars. constant income, health, friends, sweet-spoken spouse, obedient children and fruitful knowledge are the six pleasure of this mortal world. indebting father, promiscuous mother, beautiful wife and foolish children are enemy. unpracticed knowledge is poison, undigested food, partying of poor and young wife of the old man are all poison. we are like animals in our physical acts of eating, sleeping, being afraid and procreation, knowledge, right conduct separates us from animals. life, deeds, livelihood, knowledge, death - these five are created for all when they are created in the womb. so why worry about any of these. what has to happen (inevitable), happens even to the great - the great lord shiva roams almost naked (tiger skin) and the great lord viShNu sleeps on a bed of snake! what has to happen will happen, and otherwise it will never happen - why not take this medicine for the poison of worry, and be happy! the same mind, can start playing both sides of the argument. it is easy to rationalize and deviate from the path of hard work. even if a treasure is seen lying in front, by sheer luck (as kAka-tAlIya nyAya), destiny doesn't give it in hand, some effort (of picking it up) is expected. work gets accomplished by effort, industry, not merely wishing. the animals don't enter a sleeping lion. parents who don't educate their children are their enemies. kAka-tAlIya nyAya or situation is when a crow comes and sits on a tree branch, and exactly at that moment the fruit falls on his head and kills it. it is a classic reference to indicate sheer coincidence. so even if by sheer coincidence, we find a treasure right in front of our eyes on the road. but even then, it is expected that we pick it up, and not expect it to jump in our hands or bag. the list is endless. these are all tricks to take your money from you. if such things actually worked, apart from placebo effect, then why won't these sellers themselves use it on them and be happy! there is no substitute to hard work. what has been said for destiny is to make you worry free from what is beyond your control, not to make you averse to working what is in your control. in rAmAyaNa, rAma defines daiva, as that which you didn't see coming, didn't plan for, was not anticipated and you have no control over, which means it is the totally unknown factor over which you have no control. THAT, you need not worry, since you can't do anything about it. so it is not anything that you can see, plan for and have control over. you make your own future. god helps them who help themselves, by giving them intelligence. you make you own future by using your intelligence and working hard. hard work never hurt anyone, nor does it have any short cut. don't go for short cuts, don't avoid hard work. it is our nature to do something all the time, the force of karma will never let us sit idle for too long. so we may as well choose the right thing, and hard work. it will make us feel worth while as well! 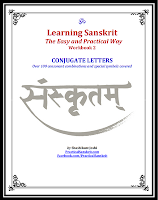 Practical Sanskrit. All rights reserved. Nice Work. May the Lord grant you more life so that work of this kind continues. Sorry, I am Ramu from Palakkad, Kerala. dhanyavaad, ramu. i am merely translating and interpreting. the real work has already been done by the great minds of yore! nice work .. really enjoy reading your site. Can you please share where do you take all these great works from ? murugaprabu, the post mentions the shloka right upfront. these are from various books, this one from hitopadesh. these are all in public domain, but what is missing is the interpretation for modern times. really very helpful..thanxx a lot!! Great work, especially the grammar section. Please, keep on explaining the grammar of the ślokas! can you please tell me if there is a sloka that ends with Angyatha kulashilasya vaso na deyo? I have no idea if it is part of sloka or its just the moral of the story. Please help. From HitopadeshaH, mitralAbhaH (before the story of the old vulture and vegetarian cat. Thank you. Would mrigah translate as mrig - deer? Thank u very much for uploading such a real life required knowledge. Which is equally important in all the Yugas. Heartily wish u all the very best for your future. Heartily congratulations and thank you for uploading such really needed knowledge of all the ERA. All the very best for all your future. May GOD give you more life to teach people more and more. This is the essential part of learning in life. Similarly, Udhyam en Eva (Udhyam se hi). Both would be correct Sanskrit. hi is used to give emphasis, like 'surely','certainly' 'indeed'. Also, there could be two versions, one with eva, other with hi.